Material Planning Considerations - Save West Hampstead, "Stop the Blocks!" Save West Hampstead, "Stop the Blocks!" Read Save West Hampstead "Stop the Blocks!" Only certain issues are taken into account when considering decisions on planning applications. ​The issues are known as "Material Planning Considerations". 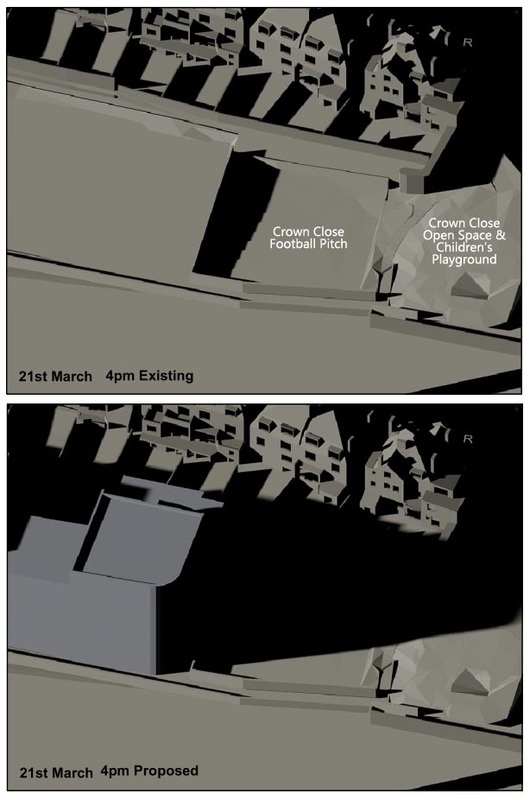 The image to the right shows how designated Crown Close open space would be cast into deep shadow by the proposed development. Children returning home from school and workers returning home who are accustomed to enjoying the light and open space would have this amenity removed by the proposed development, contrary to Camden policies on protecting designated open spaces. 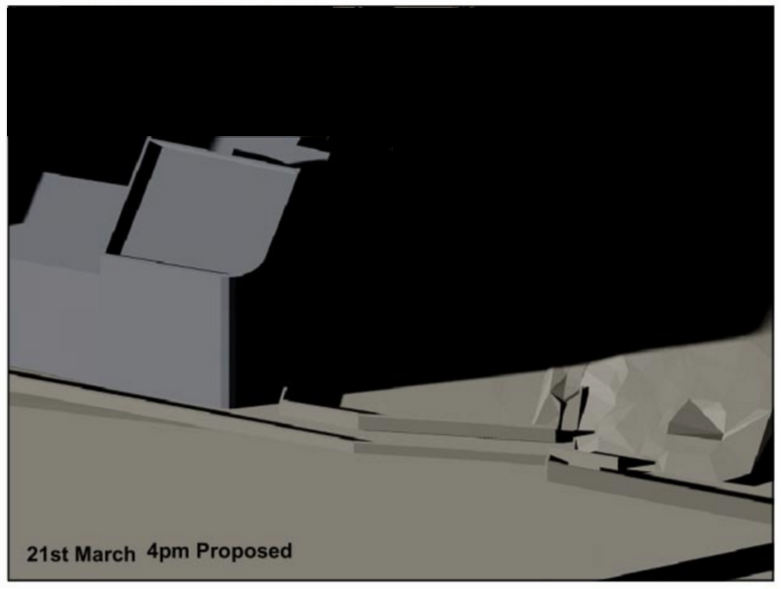 Image below shows the impact on neighbouring houses on Lymington Road, which the developer carefully omitted from their Crown Close overshadowing projection.